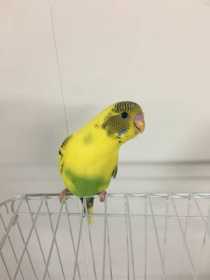 Tweet is a bright yellow and lime green budgie parakeet. He and his offspring flew off. Found the baby but still missing Daddy. His mate misses him terribly.